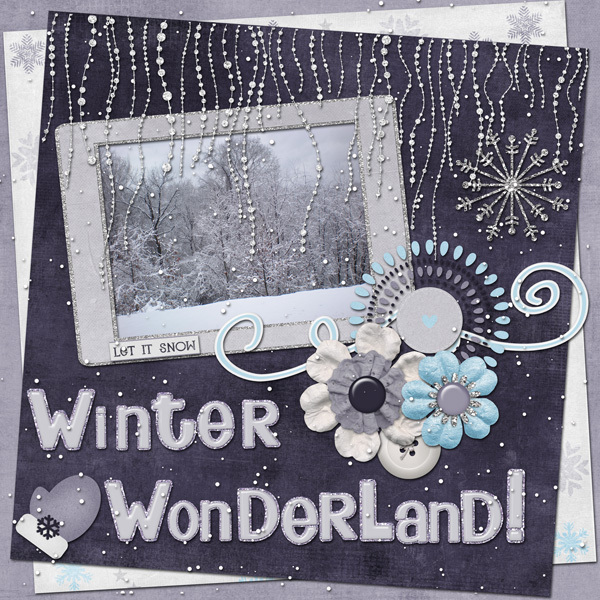 Love all the beautiful, wintery layouts! It’s obvious my Texas white Christmas wasn’t very impressive after seeing these three layouts, but hey–they’ve definitely inspired me to scrap some of my little snow flurry pics! 😉 Now it’s your turn to show us what you’ve got! 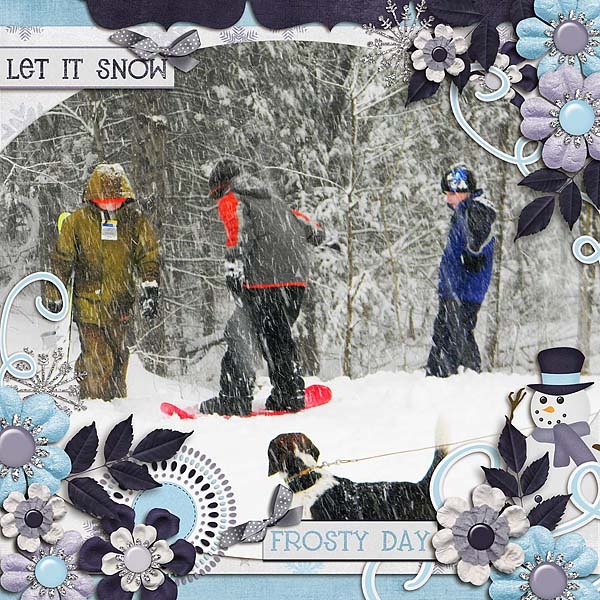 Scrap a layout using last month’s daily download kit and post it in the challenge thread! Everyone who completes at least ONE (just one!) monthly challenge gets a reward at the end of the month! You can win one buffet piece of your choice, two buffet pieces or a shiny $5 store gift certificate–woohoo! All you have to do is check out all the challenges (some have freebies–double win! ), participate in them, post your layouts and tally your completed challenges in the February Challenge Points Tracking thread. Again–easy!